The Smithville Film Commission (SFC) was created in 2008 shortly after filming wrapped for Tree of Life. But our Film Friendly virtues started much earlier with the filming of "Hope Floats" in 1997. 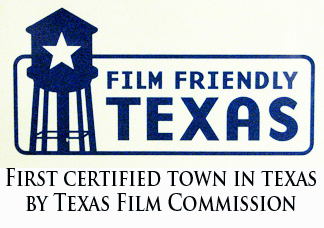 In January 2008, only five days after the introduction of the state program, Smithville was named the first Film Friendly Community in Texas by the Texas Film Commission. We get things done fast. Our goal is simple… we want to you to bring your production to Smithville. In other words, we want to entice movies, short-films, commercials, videos, documentaries, photographic studies and game development to bring their business to Smithville. 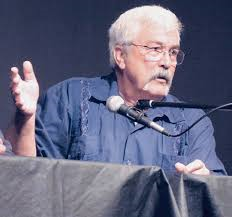 Skeeter Sewart, Smithville Film Commission Chairman, will be glad to answer your questions and help you get started in Smithville. Contact him through the Smithville Area Chamber of Commerce, 512-237-2313. In order to achieve our goal, we have become involved with the Texas Film Commission, Texas Motion Picture Alliance and the Texas Photographers Association. Our committee volunteers at functions, usually held in Austin, which helps us to network, talk about Smithville and extend invitations for visits. We recently sent invitations to all Location Scouts in Texas to come for a FAM (Familiarization) tour of our area. Ask us about our special lodging and dining rates for location scouts. When a production company shows interest in doing a project in Smithville, we meet with them to discuss their needs. We also make the commitment that we will be available throughout their project to help. We are as serious about your project as you are, so we also will ask you questions about your work. We also have city ordinances in writing for you to review. Having the Director of the Texas Film Commission talk about how well Smithville works with production companies in his speeches is a great testament to what we can accomplish. The Tree of Life crew thought filming in Smithville was the best experience. See MOVIE SITES for a complete listing of movies filmed in Smithville. We stand by the people who believe in Smithville.